Make sure your subscribers see every post by offering instant SMS notifications when you publish new blog posts in WordPress. If you’re in a hurry, you can find the almost-ready code on GitHub, just drop in the latest Twilio PHP Library and update your Twilio variables in sms-notify.php. You will need to already have a WordPress Blog running to build this plugin. 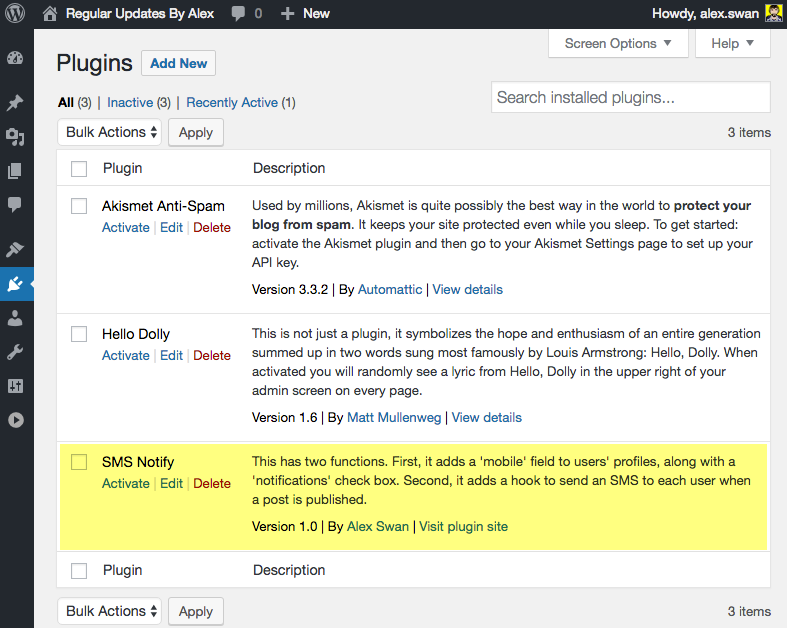 In your WordPress directory, go to wp-content/plugins and make a directory called sms-notify. Inside that directory, make a file named sms-notify.php. In this file we’ll start with some plugin metadata. This is what WordPress reads to show in our Plugin Dashboard. Description: This has two functions. First, it adds a 'mobile' field to users' profiles, along with a 'notifications' check box. Second, it adds a hook to send an SMS to each user when a post is published. Next, activate our new plugin. Go to your WordPress Dashboard at the “/wp-admin” path and click the Plugins link on the left column. Click the “Activate” link on our plugin called SMS Notify. Once it’s active, the link will say “Deactivate”. If something went wrong, you’ll see an error. Time to start modifying WordPress! When WordPress shows the user_contactmethods data, it will now pass it to our function before going on to display it to the user. We add the mobile field to it so our user can put their phone number in it. Let’s try it out! Back at the “/wp-admin” path, go to the Users tab and click the Add User button. Create a user with the role Subscriber. In an incognito window, log in to your blog with that user’s credentials, then go to “/wp-admin/profile.php”. Add a phone number for your new user, then hit Save. Next, set up a function that is invoked during a publish_post action and use get_users to iterate over all the subscribers of the blog. This code is in preparation for sending a text message to each subscriber with a number attached to their profile. 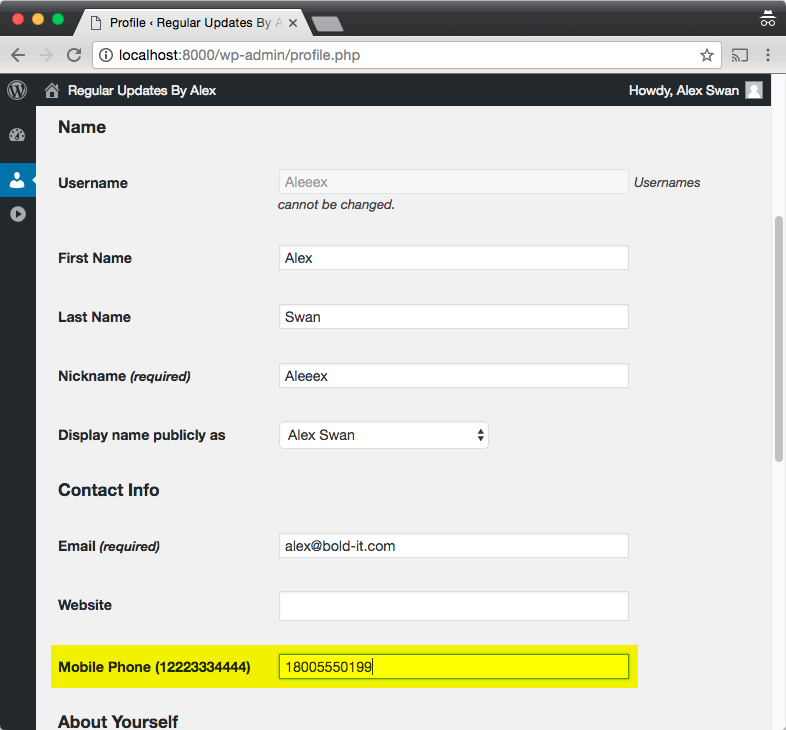 For each of the blog’s Subscribers, WordPress gets the phone number stored using get_user_meta. Finally, add_action gets configured to execute post_published_notification when the publish_post action happens. Now, to send our SMS. 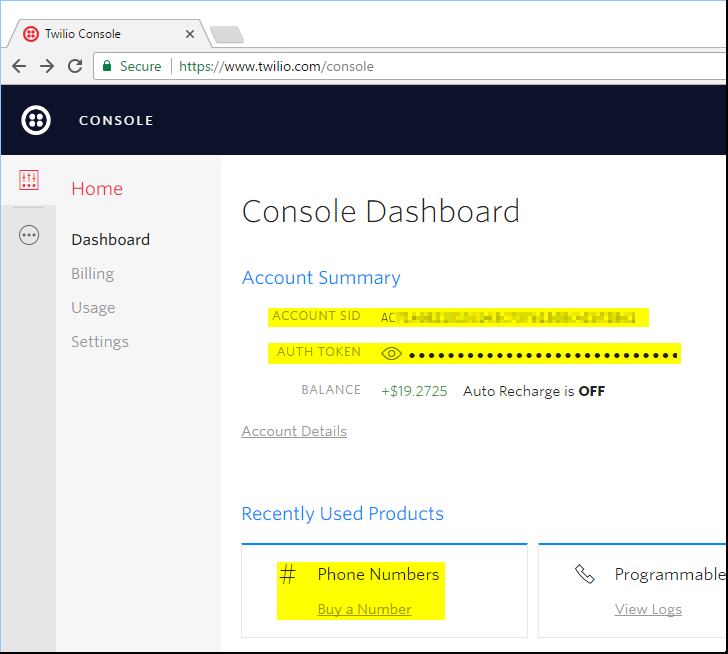 Go to the Twilio Console (sign up for a free account if you do not already have one) and note your Account SID, Auth Token and a phone number you purchase. You’ll need to add this information in next. Go to Twilio’s PHP Library and install the library. It’s recommended to use Composer, but copying the twilio-php-master folder into our sms-notify folder works as well. Now add references to the library in the top of sms-notify.php (after the metadata). Modify our post_published_notification function to make a Twilio client, and send a message in the foreach loop. Be sure to update the $sid, $token, and $from variables to your own Account SID, Auth Token and a Twilio phone number that you own. Head back to your WordPress admin page at “/wp-admin” and add a new post. Write your deepest desires, then hit the publish button. That’s it! We got our SMS notification that a new post has been published. 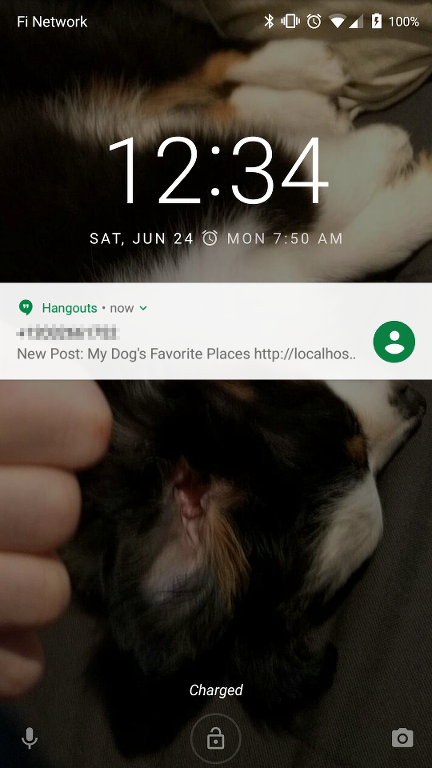 Thanks for using this code to enable SMS notifications on newly-published WordPress posts. Let me know what you build by contacting me via boldbigflank on GitHub or @boldbigflank on Twitter.